nB nanoScale Biomagnetics unique software, helps users to program and controls experiments, records the measured data, and processes experimental results into truly useful and ready to publish reports and graphic presentations. The D5 Series can be easily used and programmed from an external computer and provides the data obtained already processed and ready to be used on a standard format. 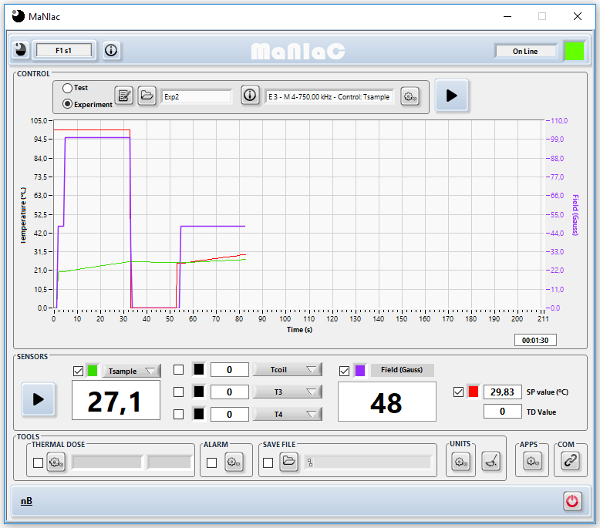 MaNIaC is a software environment which has the dual function of user’s interface and workstation for analysing and storing results allowing the user to run and schedule induction heating tests for research in magnetic hyperthermia in our devices, as well as monitoring and analysing the results of such tests. 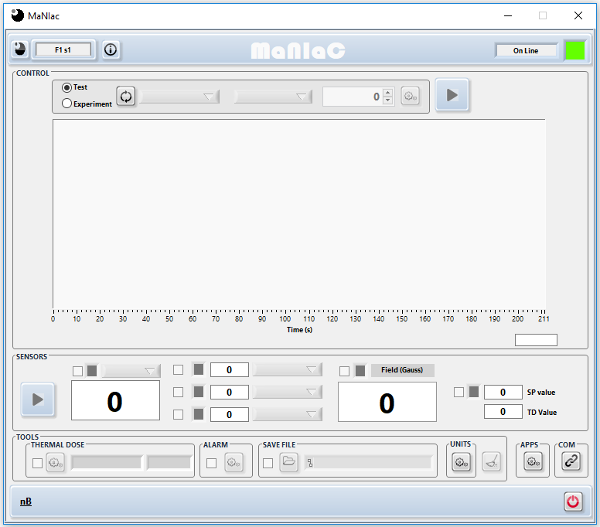 MaNIaC is a robust piece of software designed under usability and accessibility guidelines in order to provide specific tools for each test and increase productivity in the laboratory. The application is carried out by the main software MaNIaC which has been designed to run on any external computer, now available for Windows OS.